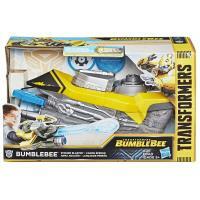 Join the buzz with the Transformers: Bumblebee -- Bumblebee Stinger Blaster weapon inspired by the iconic Bumblebee blaster from the movie. 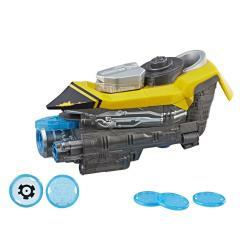 Launch discs in blaster mode, then activate the pop-out conversion to continue the action in stinger mode. Weapon easily fits to wrist for action.